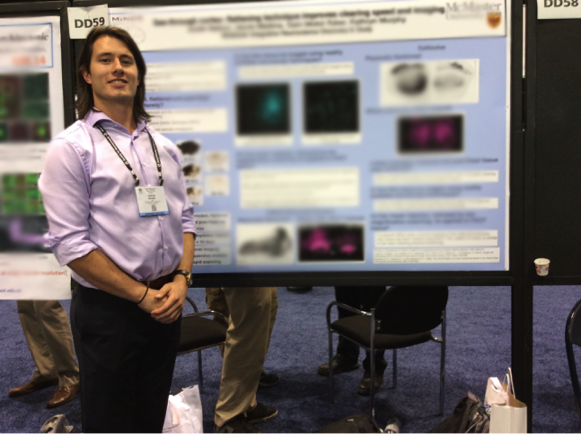 As proud students of McMaster’s Neuroscience Graduate program, it seems fitting that the current issue of Brainwaves should feature a brief account of this year’s annual meeting of the Society for Neuroscience. 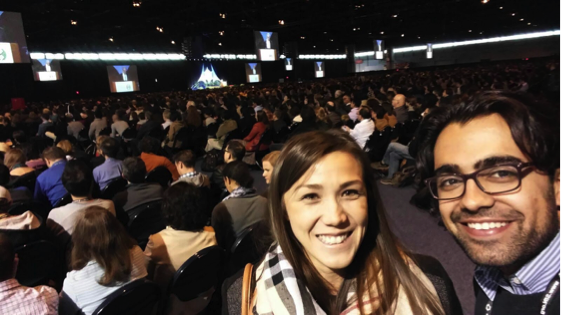 With just under 30,000 attendees, the meeting was held at Chicago’s McCormick Place, the largest conference centre in the U.S.
After this lecture, the schedule exploded into a myriad of special lectures, presidential lectures, minisymposia, nanosymposia and presentations. Rakoff’s lecture was just the first of many that would capture my attention over the course of that week. 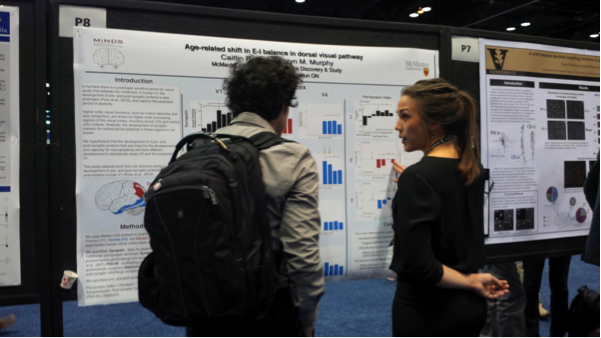 Every day brought forth a new presidential lecture and multiple poster sessions, with themes ranging from Development and Disorders of the Nervous system, to Sensory Motor Systems and Cognition & Behaviour. 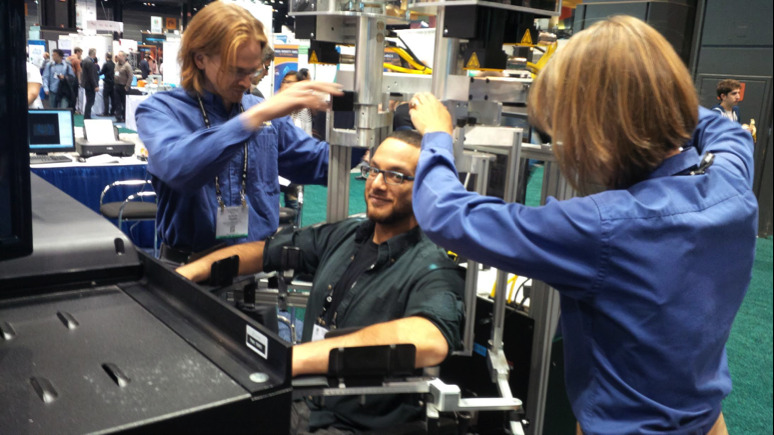 From October 17 to the 21, there were five non-stop days jam-packed with the best that neuroscience has to offer. Every time you go to the vendors with Simon, this happens. Many notable McMaster Faculty and students were in attendance at the meeting, but trying to spot them became a real life game of Where’s Waldo. Trying to attend every lecture and poster that is fitting for you is near impossible, but included in these posters were over 20 students representing McMaster. Though this list is not exhaustive, some MiNDS work that was presented across various sessions included that of Simon Beshara, Connie Cheng, Roksana Khalid, Sean Rasmussen, Elyse Rosa, Caitlin Siu, and Jessica Wallingford. Even a few proud BrainWavers were in attendance to share their progress! 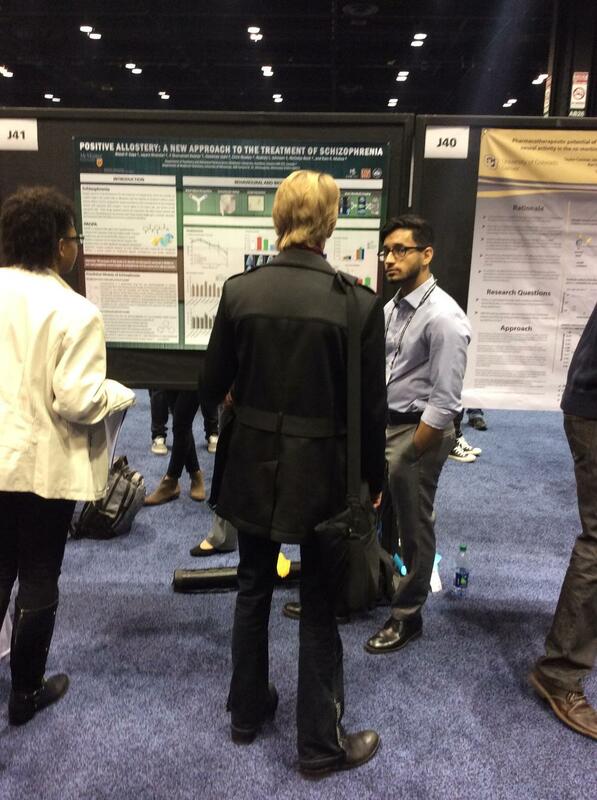 Ritesh Daya, Mary Sourial, Shawna Thompson, and yours truly all had superb experiences presenting our posters. Poster Tip #42: Make sure you look damn good. 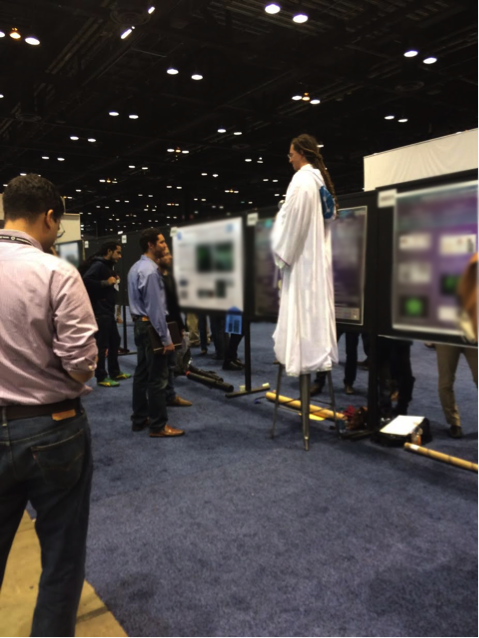 Aside from the hectic, daily grind of going to all that the conference had to offer, there were many socials and meetings that took place geared toward increasing our network as neuroscientists. Some socials that were an excellent place to meet new colleagues included the Canadian Association for Neuroscience (CAN), as well as the Graduate student social. I also found time to volunteer at an event hosted by the Neurotechnology Industry Association (NIO), a group that brings together neurotech companies, and aims to give neuroscience a voice by “fostering a dedicated translational and commercial neuroscience ecosystem.” For more about this, read our interview with Alison Fenney by Elyse Rosa! 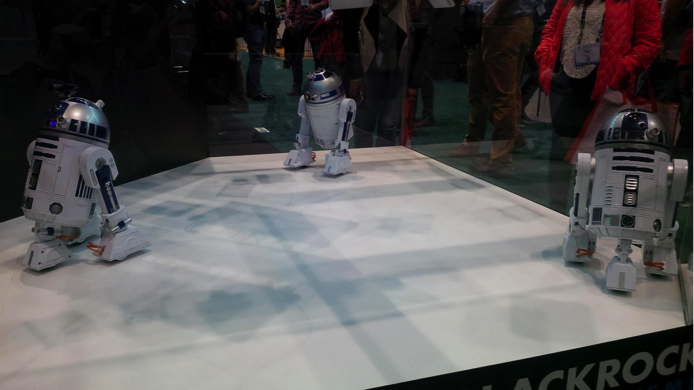 Some R2 units with motion tracking devices attached to their heads! Beep Boop! Between the conference itself, the socials and taking in the best sights sounds and tastes in Chicago made for one busy week. Some say that SfN is both a physical and mental exercise. But I can confirm that the workout is completely worth it. That's one way to make people come to your poster!